The Flickr photos widget will help you to show your beautiful photos right on your website. 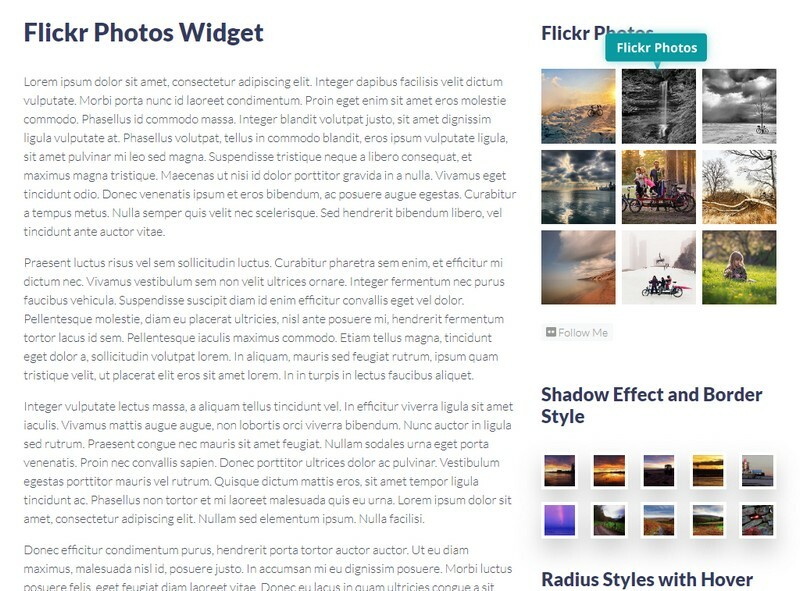 Just add your Flickr ID, API key and start streaming with many predefined styles and columns. Set image sizes, spacing and much more.